The Southern Ocean is the planet's main heat and greenhouse gas sink, and without it, global warming would be a lot worse. It's also one of the least-observed and understood parts of the global ocean, due largely to its remoteness and competing influences there, from Antarctic sea ice to changing weather patterns and the slow healing of the stratospheric ozone layer. In a new study, published this week in the journal Nature Geoscience, scientists compiled the most comprehensive set of Southern Ocean observations available from 1950-2014. The study compares observations collected by ships and floats with model results. They then used a "detection and attribution" approach using computer modeling combined with statistical techniques and observations to determine what causes of climate change best align with observed changes. What they found: A combination of increasing amounts of greenhouse gases in the atmosphere and the gradual healing of the human-caused ozone hole over Antarctica are the main two drivers of change in a large part of the Southern Ocean, with greenhouse gases playing the dominant role. 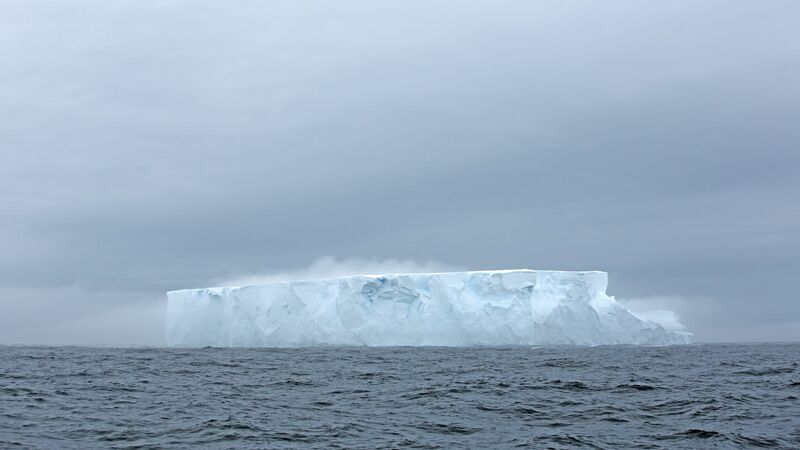 The Southern Ocean is the region where deep water interacts with the atmosphere, acting as "Kind of a gateway between the atmosphere and the ocean" study lead author Neil Swart of the Canadian Center for Climate Modeling and Analysis, told Axios. Study co-author Sarah Gille, a scientist at the Scripps Institution of Oceanography, told Axios that it's critical that scientists better understand changes underway in the Southern Ocean, otherwise we won't be able to project the future climate with any accuracy. "The Southern Ocean is the major connector between the Atlantic, Indian, and Pacific Oceans. The current system of the Southern Ocean, the Antarctic Circumpolar Current, carries more water than any other current on the planet," Gille told Axios. In an accompanying news & views piece, Nathaniel Bindoff, who was not involved in the study, says it's the first to apply a rigorous approach to estimate the relative importance of each factor causing Southern Ocean changes.